1. 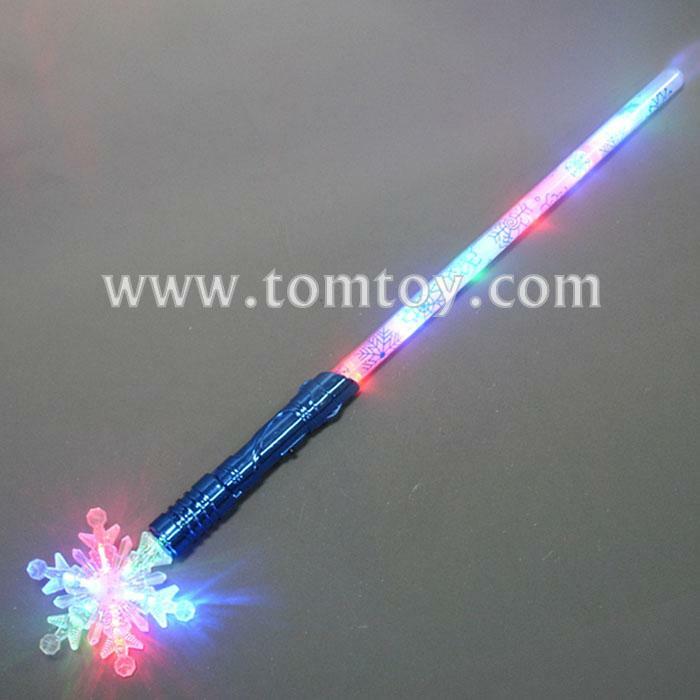 LED light up Sword with snowflake at the bottom, the blade with snowflake design printing. 2. Feature 3 light functions. 3. Simple press the ON/OFF button on the handle. 4. 3pcs AAA Batteries are included and installed. 5. Perfect for Birthday Parties, Christmas, New Year, Costumes, Cosplay Events & More.